← Oh My God, No One Told Us That! For you, I’m sure it has seemed like a long road to four. For your Dad and I, it has been the blink of an eye. You have become so smart. Too smart sometimes. You are kind. You are creative. Your imagination is wild and crazy and it is one of the best things about you. You make us laugh so much. You are girl through and through. A couple of week ago when you were supposed to be in rest time, I came upstairs to find you in my room, standing in front of my mirror, holding an eye lash curler against your face. You said, “My eyelashes were flat, and they needed to be up.” Oh. My. God. School is your favorite. Your teachers tell me that drawing and painting are your favorite things to do. Every day when I pick you up I leave with armloads of your masterpieces. You can now dress yourself, put your shoes on, get your own utensils and placemat for mealtime, clean your room (kind of), spell your name and your brother’s name, and you know the lyrics to most top 40 hits. Every day you need me a little less. You love your swimming lessons, but you won’t go all the way under water until I get you goggles. I will get you goggles, but I know you will hate them. Recently, you have been asking to take ballet, but I suspect it is just for the outfits. You love Frozen, Sofia the First, Curious George, Frances, books, dressing up, eating, dancing, baking, drawing and your grandmas. So yes, my love, today your are four.I know we will blink again and you will be 24. So please slow down, but don’t change anything else. This is so sweet Jackie… Hope Reese had a great birthday! I love this post! 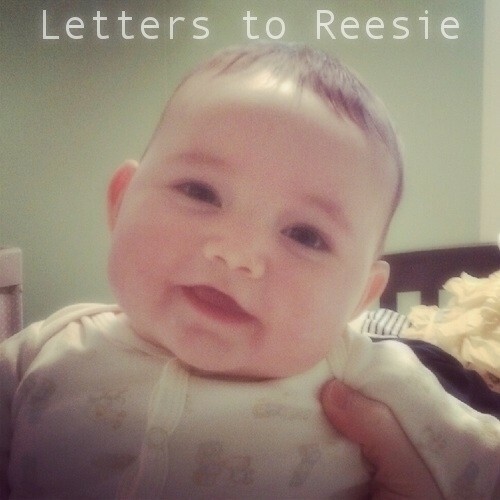 I love you Reesie!